The Hope College Great Performance Series will present the Suspicious Cheese Lords on Friday, Jan. 18, at 7:30 p.m. in Dimnent Memorial Chapel. 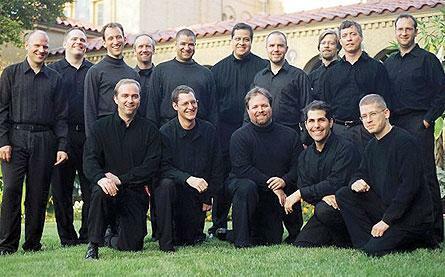 The Suspicious Cheese Lords is an all-male a capella ensemble focusing on the music of the Middle Ages and Renaissance. The ensemble, based in Washington, D.C., seeks to broaden the global repertoire and listenership of choral music by unearthing forgotten works, breathing new life into familiar pieces, and supporting emerging composers. Specializing in early music, the unique brotherhood’s concerts, liturgies, recordings and educational programs provide a scholarly yet accessible interpretation of music of all eras, inspiring fans and future musicians alike. Hope College alumnus Dan Ebeling, who graduated from the college in 2004 with a major in vocal music education, has been performing with the group since 2004 and will be singing as a countertenor at the performance. The name has also caused some trouble for them as they were renamed a “Sacred Music Ensemble” when they performed at a papal mass for Pope Benedict XVI in 2008. From 1998 to 2006, the Cheese Lords served as the choir-in-residence for major services at the Franciscan Monastery in Washington, D.C. Additional services credits include the Cathedral of St. Matthew, Church of the Epiphany (G Street), the Church of the Holy Redeemer (Kensington, Md.) and Georgetown University’s Dahlgren Chapel.